One of the struggles for me when it comes to any beach vacations is — I’m allergic to the sun. Not in a I’m going to die type of allergic reaction way, but in a I’m-going-to-claw-my-skin-off allergic reaction kind of way. My skin breaks out in hives and I develop a nice purple rash (as if a rash can be nice). 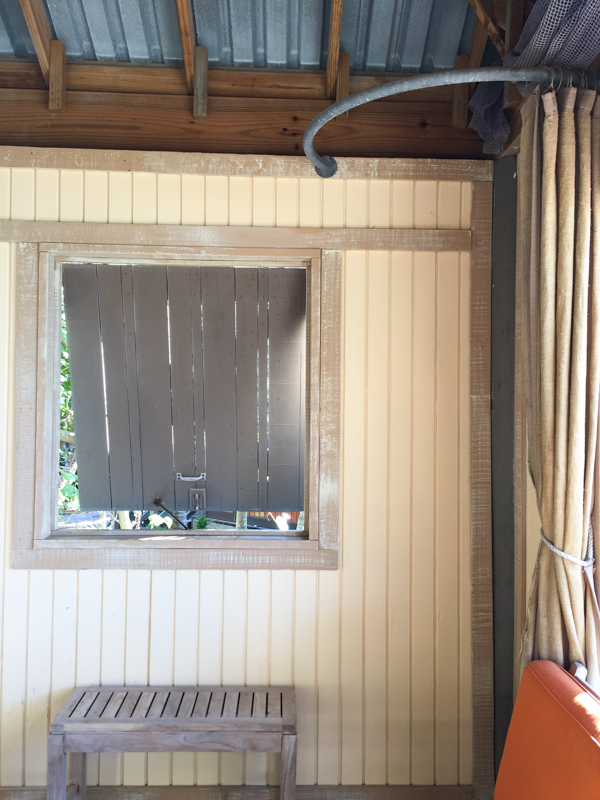 So when I found out about the cabanas at Castaway Cay, I knew I needed to book one for the Disney cruise portion of the Disney Social Media Moms Celebration. And I did! Castaway Cay is Disney’s own private island in the Bahamas and is a port of call on Caribbean cruises. Its gorgeous water and pristine beaches make it the perfect complement to a Disney cruise. I only wish we could have stayed longer. How awesome would it be if they built a resort ON CASTAWAY CAY!! I’d be up for that. There are cabanas on both the family beach and Serenity Bay – the adult only beach. Because cabanas at Castaway Cay do usually sell out, I suggest you book as soon as your booking window becomes available. There are only 21 cabanas along the family beach and only 4 on the adult beach. So in reality there aren’t that many to go around so they are a pretty hot commodity. 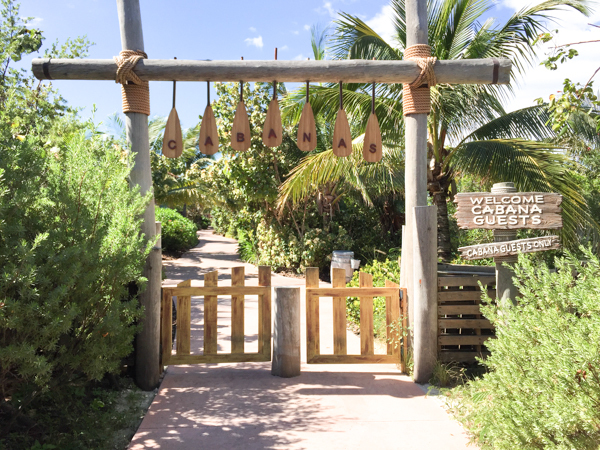 The cabana experience should begin in your stateroom with a delivery by a Cast Member that includes instructions, wristbands and vouchers for your day at Castaway Cay. We didn’t receive ours, but it wasn’t a big deal once we got to the cabana kiosk on the island. They confirmed we were on the list, showed us where to get our snorkeling gear (which is included in the cabana rental), and shuttled us off to our cabana in a golf cart. Upon arrival to our cabana on the family beach, we were greeted with a personalized welcome sign. Although I thought that was really cool, the view once we walked inside the cabana was even cooler. Absolutely gorgeous. I’m still in love with that view and can’t wait to go back! The cabana host kindly showed us around the cabana and explained to us where everything was to ensure we could make the most of our cabana experience. And just like I’d hoped there would be, there was a call button that we could push if we needed anything. It’s the little things, y’all. 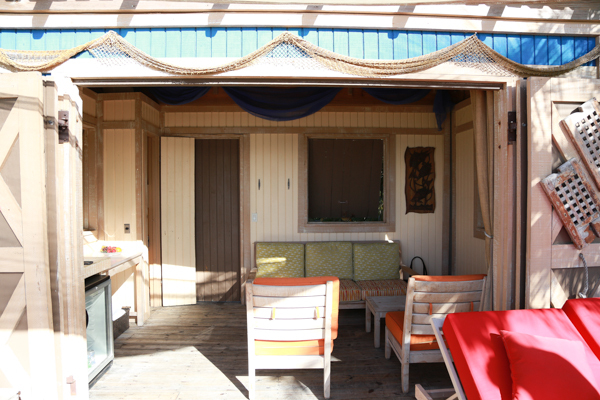 The cabanas at Castaway Cay are furnished with beautiful wood furniture including a couch, two chairs, and two tables in the covered area, and two loungers and a chaise lounge in the uncovered area. There is comfortable cushioning on each but I found the loungers outside to be the most comfortable. 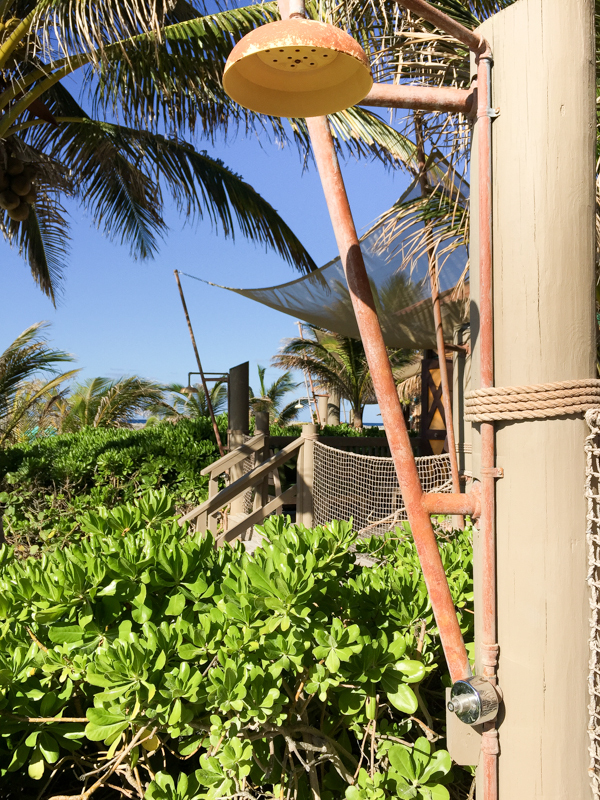 There is also a hammock right outside the cabana on the beach side. 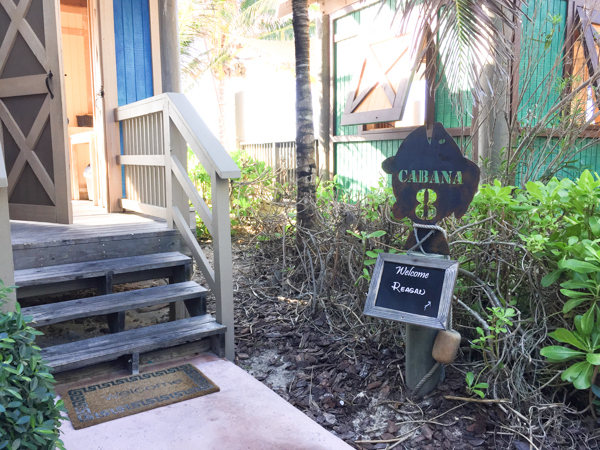 There are large doors that open up on the beach side of the cabana. These doors could be closed, if you wanted a little more privacy. There is also a changing nook off to the corner with a large curtain for privacy. Also inside the cabana you will find a stocked refrigerator, snack basket, plate of fresh fruit, basket of towels, closet with safe, and drink menu. 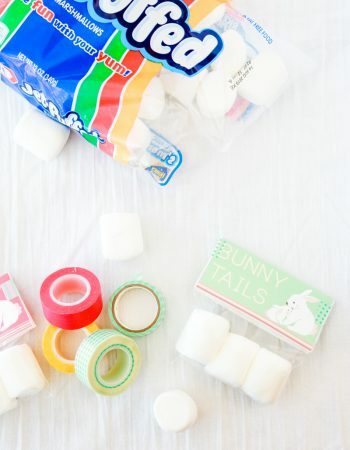 The refrigerator is filled with water and sodas and the snack basket is filled with chips and snack bars. If you need more than what is provided in the cabana, simply press the call button and the cabana host will bring more. You can also walk down to Cookie BBQ Too during lunch time to fill your hungry belly. 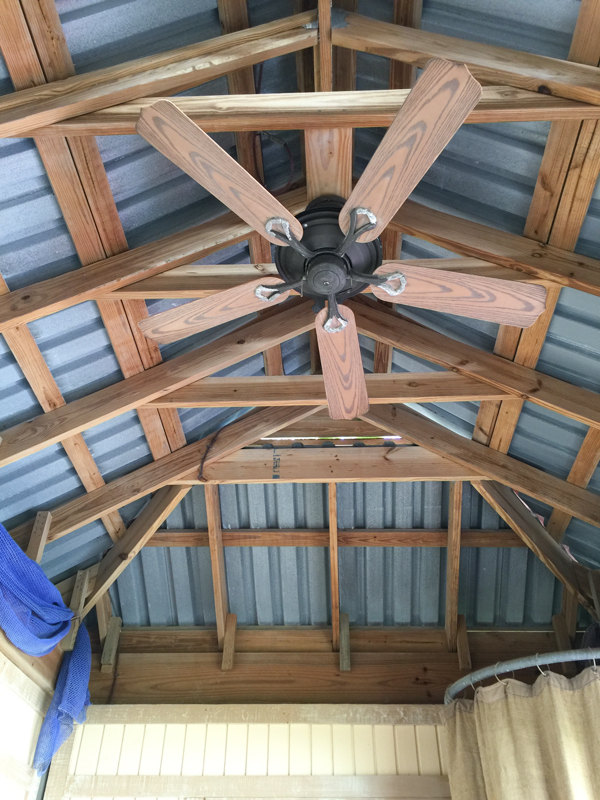 There is a ceiling fan in the cabanas at Castaway Cay that I assume will come in handy on those hot, still days. In February we didn’t need it, but I’m guessing in July you probably will. After spending time playing in the sand with the provided beach toys, snorkeling in the beautiful water, and lounging in the provided tubes, there is an outdoor shower to wash the sand off your body. Also available is a cabana guest only bathroom. It was nice having this bathroom so close and accessible without being crowded. In fact, each time I walked to the restroom with my children they were empty. There is another bathroom facility just to the right of the cabanas. One of the best perks was that the beach in front of the cabanas is reserved for cabana guests only. It was so enjoyable and relaxing to be able to enjoy the beach without crowds of people. The one negative that we noticed while at the cabanas on Castaway Cay was that during low tide the water near our cabana was almost non-existent. Good thing it was later in the day and we could still play around the bend on the other part of the cabana beach. 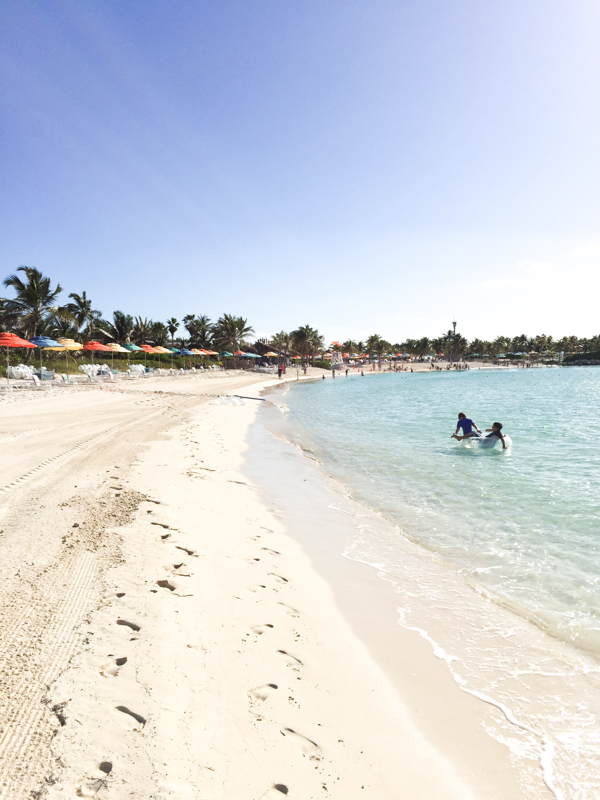 We had the best day ever while enjoying the cabanas at Castaway Cay. My friends and family keep asking me would we do it again, and the answer, without a doubt, is YES! Although the $590.18 price tag seems excessive, and it is based on just value alone, you really can’t put a price on the convenience it provided my family. And let’s not forget the protection from the sun. Have you ever gone on a Disney cruise? 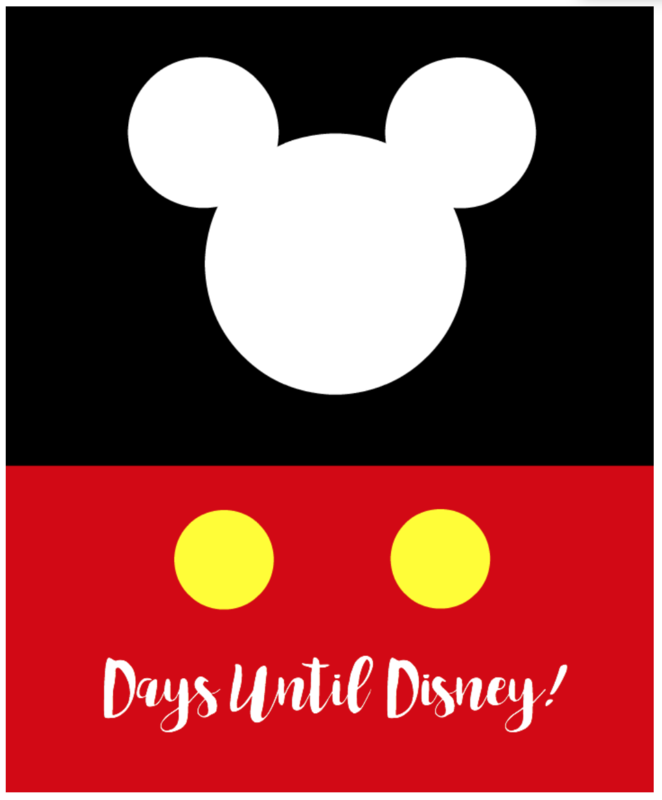 Days Until Disney Printable – a fun countdown for your family! 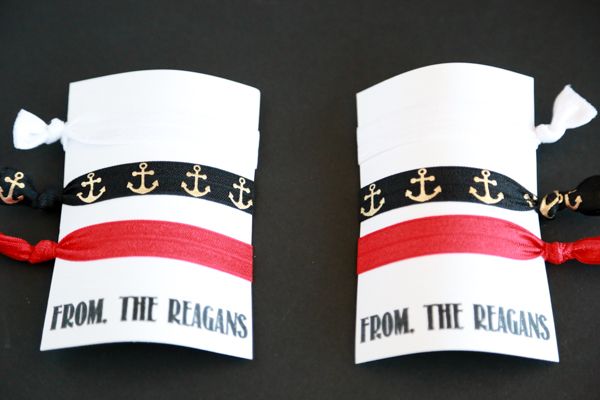 Disney Cruise Inspired DIY Fold Over Elastic Hair Ties – perfect to keep hair out of your face! 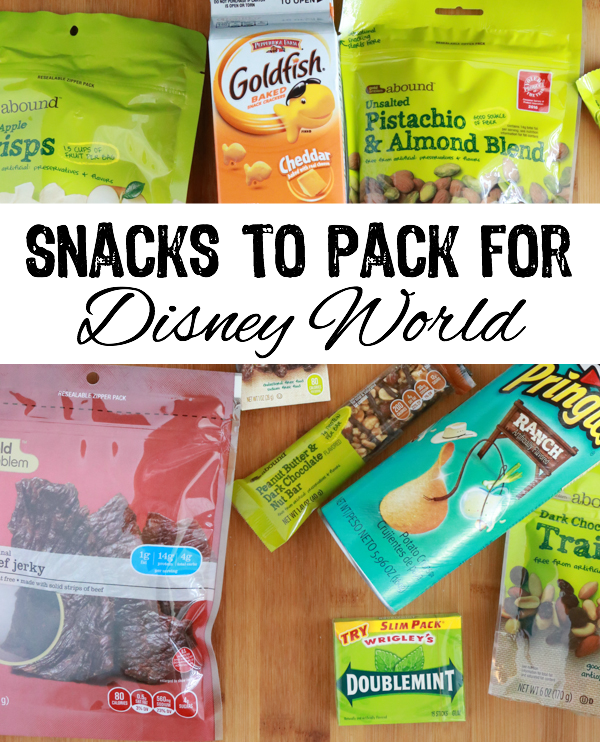 Snacks to Pack for Disney World – save money on your snacks by bringing them with you! This looks like exactly where I want to be right now! It’s been so cold over here in eastern TN and cabanas just sound so heavenly! I would be all over those cabanas. It looks like the perfect place to relax! I’ve never been on a Disney cruise, but I definitely have it on my travel bucket list! I love going to Disney!!! These cabanas look amazing, perfect place to relax and chill at! I will have to include this place in my must-visit places list for 2017. It has been a while since I last vacationed in the Bahamas. I think the time is right for a relaxing vacation at Castaway Cay. Been there at Disney’s island many many years ago when they just first started for sure since then they have enhanced the experience. Looks lovely. We are going on our first Disney cruise from March 27-31, and ARE SO EXCITED!! We booked over a year ago, (Concierge cabin), and also managed to snag a cabana. Your review just makes us even more excited, LOL. A Cabana would be necessary for you! Wow! What an allergy to have! Now. Hopefully one day it happens! seems like such a relaxing and fun place to visit. 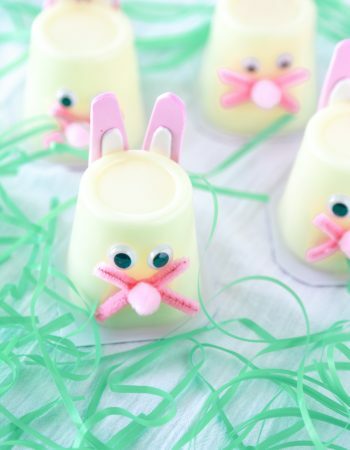 A disney cruise is on our buck list, and one day we hop to visit here too! These are amazing looking Cabanas!! We love Disney it is always an amazing experience when we go! 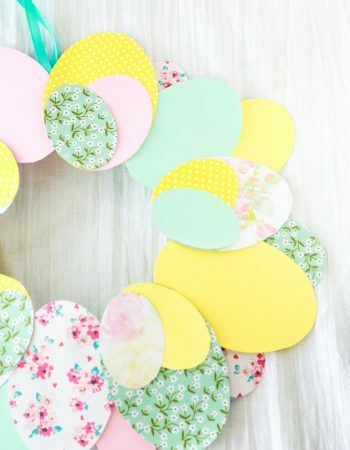 Ooh this looks like fun. It’s beautiful. Would love to go there someday. 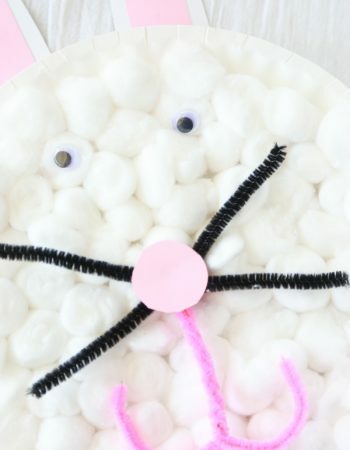 We almost did it for spring break but couldn’t make it work with our budget this year. Hopefully next year. Castaway Cay sounds like a ton of fun. I’ve never been there, but I have some friends who do all things Disney, and they say it’s amazing. Castaway Cay is the best thing ever! 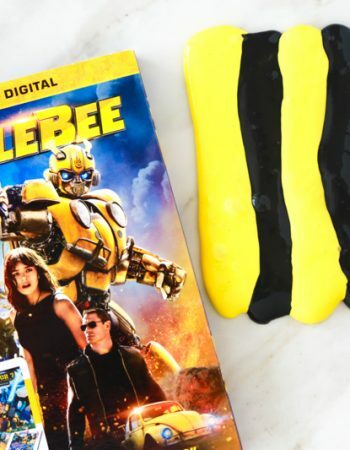 Disney really does think of everything, don’t they? That is fully awesome. I’d love to go on a Disney cruise. I’m a HUGE Disney fan, and I think Castaway Cay would be the best part of it. I would love to go on a Disney Cruise with my family. We are actually trying to save up, so that we can go next year. I’m so glad for your input on the cabanas. That’s something my husband and I were debating to see if it is worth the money. I can’t wait!